A diet containing cayenne chili helps to avoid stomach aches, gas, and cramps. These are highly in demand for their best quality and reasonable price in market. The Green Chili Powder is used in dry soups mixes, sauces, food preparations, vegetable mixes, stuffing mixes and fast foods. These are available to our clients with best packaging and available to our clients at comprehensive prices. These are highly in demand for their best quality and reasonable price in market. 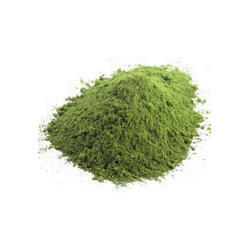 The dehydrated green chilly powder is used in dry soups mixes, sauces, food preparations, vegetable mixes, stuffing mixes and fast foods. These are available to our clients with best packaging and available to our clients at comprehensive prices. Green Chilli Powder which is widely used in indian, mexican and thai dishes to add flavor. These Green Chilli Powder contain a considerable amount of vitamin c & carotene and are known for their spicy taste. 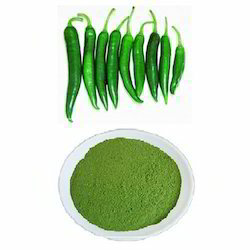 Green Chilli Powder have bright green color healthy unblemished skin and are full of flavor.